There are three major types of digitizing technology used in signature pads: Resistive, Electromagnetic, and Capacitive. All of these technologies seek to deliver the location of a pen much like a map provides longitude and latitude coordinates, however, not all methods are created equal. Resistive technology uses a multilayer membrane that detects a location when force is applied to a specific region. These sensors provide a low cost solution, but are prone to scratches, wear and tear and have a much shorter lifecycle in high traffic environments. They also are not as transparent as glass solutions when overlaid on top of LCD displays, which affects perceived signature quality. The widespread use of this technology has attributed to the standard expectation of low quality signature capture devices in the publics' eye. Electromagnetic sensors are some of the most commonly used technology in this space. These sensors detect pen location by inserting a circuit board layered with areas that create an electromagnetic field around the screen. A pen with a special circuit is then used to complete the flow of data. 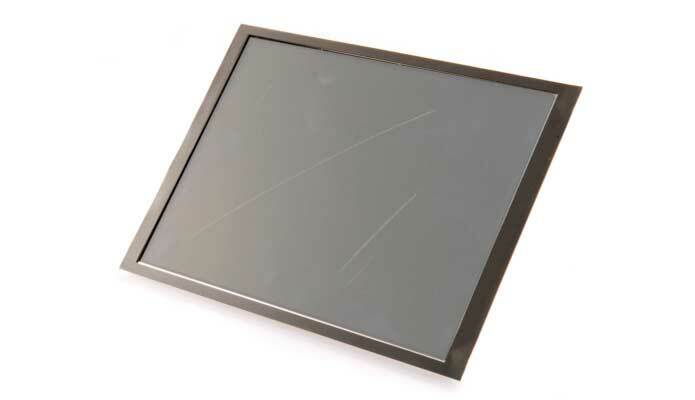 These solutions are very accurate and when combined with a glass overlay are very durable yet can result in higher costs due to the complexity of adding an additional circuit board and screen overlay on the device. Another major drawback is the lack of touch support which can limit adoption in the Point-of-Sale environments. Scriptel's static capacitive sensors address both cost and functionality. Unlike most capacitive sensors, the sensor coating is strategically placed on the backside of the glass, preventing damage from scratches or other environmental variables. This design allows the single package to become the digitizer and protective barrier, creating a simple, robust, and high quality solution. Scriptel's technology provides its customers with devices that are designed to endure high traffic retail environments at a lower total cost of ownership than mainstream alternatives. Read more about Scriptel's Static Capacitive Technology.